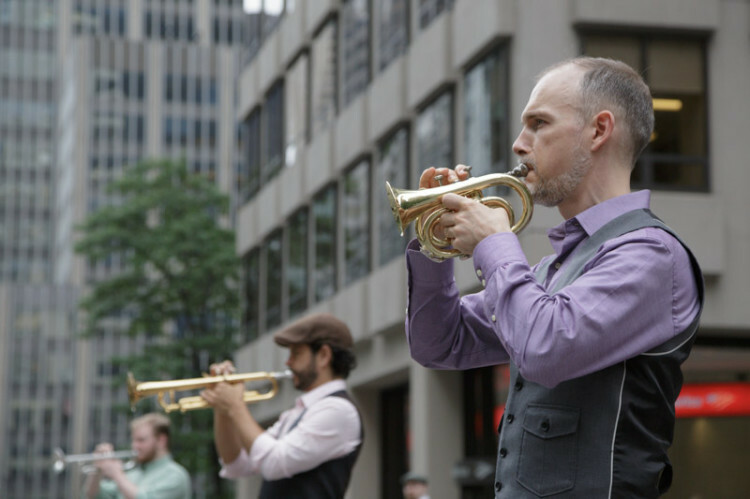 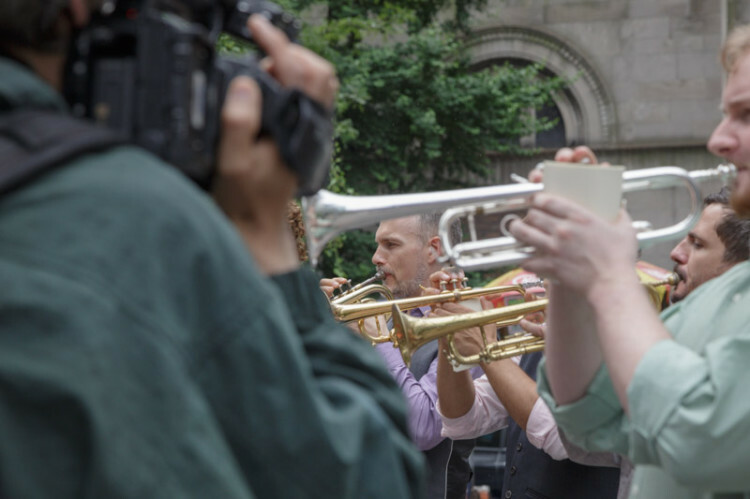 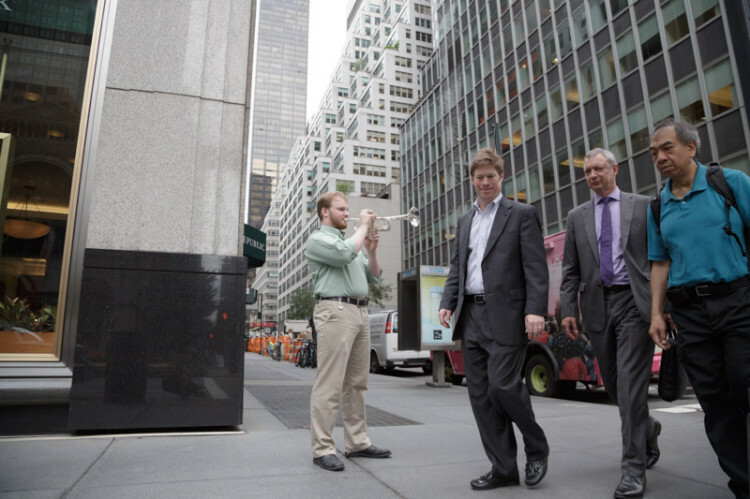 Trumpet City is a live art installation by On Foot Productions that involves 18 or more trumpets playing droning notes for an hour. 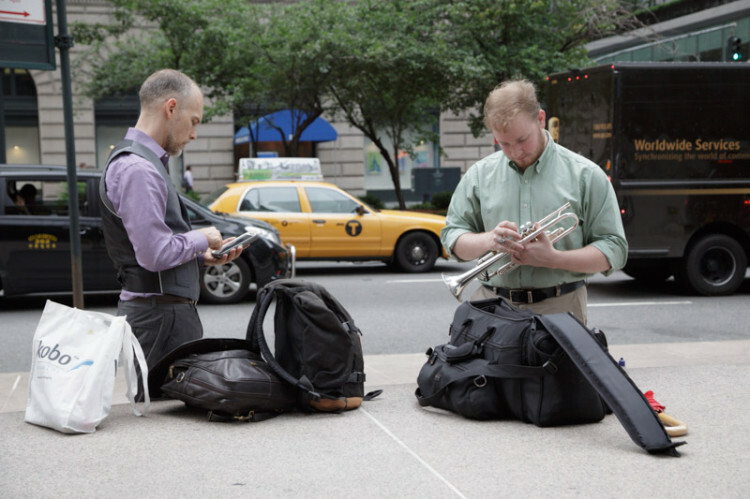 The installation first took place in Zurich in 2009 and has since been mounted in Bern, Switzerland and, most recently, New York City, the latter of which included 92 trumpets. 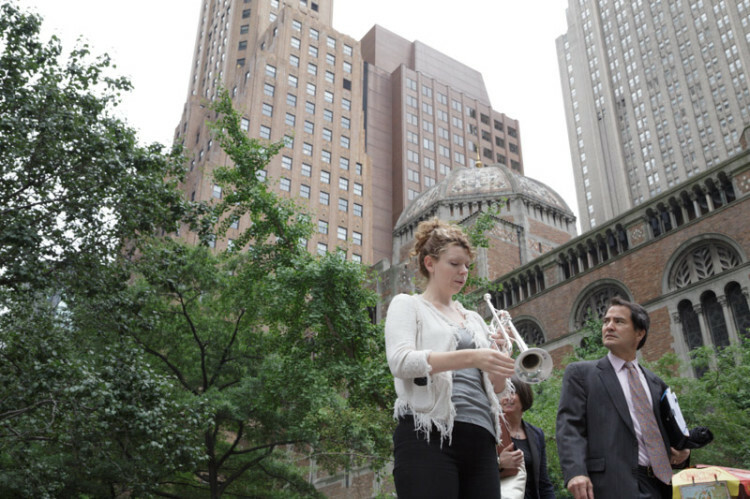 The next Trumpet City will take place on September 20th in Williamsburg and Greenpoint, Brooklyn.